Imagine a man is running against wind. He can’t run as fast as he can because the wind slows him down. The blast of wind is the resistance that hampers him to move forward. Battery internal resistance also fits into this case. When current runs round a circuit, there is an opposite force of the cell itself that resists the current, this opposite force is called internal resistance of a battery. It is made up of two components: electrical resistance and ionic resistance. Electrical resistance is the resistivity of the actual materials and how well these materials make contact with each other whereas ionic resistance is the resistance to current flow within the battery due to various electrochemical factors. All batteries have some internal resistance to some degree. It is important to note, however, that internal resistance is dependent on its size, chemical properties, age, temperature and the discharge current. Why is battery internal resistance so important? As same as how strong the wind would affect how fast the man can run, battery internal resistance has an effect on batteries discharge capability, which means how much discharge current the battery can take. Batteries with higher resistance generally can’t afford high load because they encounter more restriction when delivering the needed energy, so more unavailable energy remains in the battery. 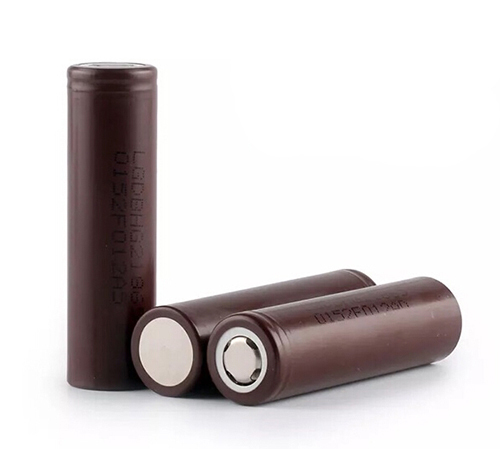 This is very obvious when it comes to vaping batteries that need high drain. If the internal resistance gets too high, the batteries can’t deliver continuous discharging ratings as they should be. Furthermore, battery internal resistance increases over time, especially after they have been spared for a long time. Keeping track of internal resistance is also an indicator of how old you batteries are. Once the resistance increases, it’s hardly possible to be reduced, but you can never be too careful to use your batteries rationally such as avoid using high current to discharge your batteries, never over-charge/over-discharge them and store them at room temperature. Last but not least, buy a good charger for your batteries!